This week's Five Questions With A Food Founder is Alvira Dickson. She is the founder of Simply Luscious Cocktails and was one of the sponsors of TECHmunch Atlanta. What was your inspiration for starting Simply Luscious Cocktails? My inspiration for Simply Luscious cocktails started years ago...growing up I dreamed of working in the food and beverage world. When I finished my college degree in Food Science I was not lucky enough to get my dream job with a food company – but that did not deter me. However luck struck when after graduating from my MBA, I worked in management at beverage companies including Heineken, Diageo and Nestle providing me with unique experiences in the beverage world. Recently as a busy mom I was frustrated when there were no premixed cocktails on the market that combined great taste and low calories for home entertaining. Drawing inspiration from my recipes and career travel to Netherlands, South America and the Caribbean – I began putting together my recipes and ideas for launching Simply Luscious cocktails. The name Simply Luscious is a celebration of a balanced indulgent lifestyle. 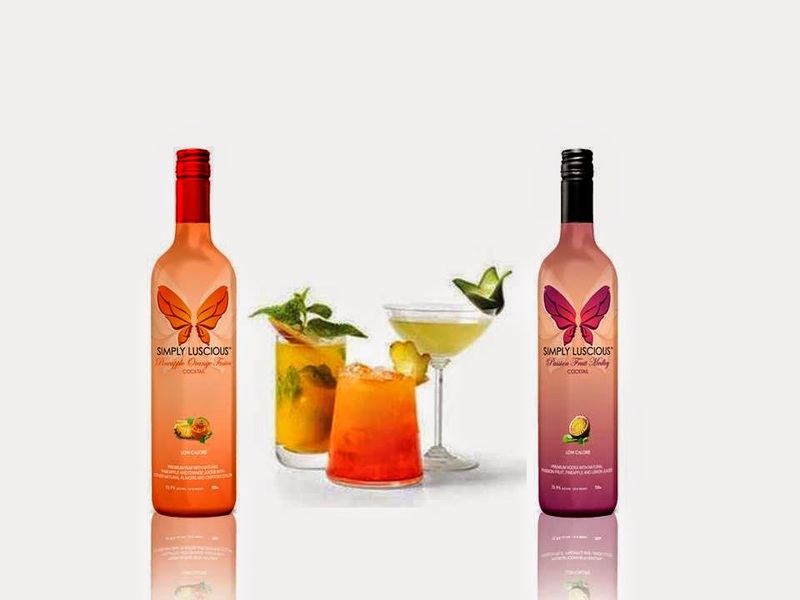 My team and I wanted to create a premium ‘’ready to drink’’ cocktails where consumers could ‘’have it all’’- great taste and low calories to fit their entertaining needs. We also wanted to bring something new and innovative to consumers. Since our brand supports a healthy portion controlled lifestyle we added our trademark portion control feature. We choose the butterfly as the logo symbol to bring a luscious life into existence. A Butterfly means ‘life’ in many cultures, its elegant versatile and can be used several ways from edgy to soft feminine chic. We wanted to create a logo that would fit on a simple clean bottle with bursts of color to create this fun and energetic vibe. What websites or apps that you use that are essential for your business? • WSWA and Bevforce are great for industry news and trends and are tailored to emerging brands like ours. • Blogger Networks since we are so small we believe partnering with bloggers with influence will make our voice heard in the market. • Cocktails apps are a great way to see the new, fun concoctions that are coming out in the mixology world. What's the best thing about having your own liquor business? It gives me the flexibility of controlling my own time and being able to combine business with other commitments in the family. • It feels great to have the ability to make my own business decisions and be accountable for them. • It’s very rewarding to take knowledge from past industry knowledge and find cost effective and creative ways to do them. • It highly excites me to think that one day kids will draw inspiration from Simply Luscious and look to do whatever they set their minds to no matter who they are or where they come from! What food or drink trend do you think will be big in 2015? We are in the mixology era where different concoctions and creative recipes are in are on the rise. There will be an increase in consumption of more premixed cocktails to more casual venues like stadiums and arenas. In the 2015 the spirits world will shift away from Vodkas to flavored Whiskeys where flavors and season ingredients will play a key role in cocktails. More savvy and demanding consumers will drive innovation – as a result there will be more healthy balanced offerings not just drinks for example portion control. Note: We at Simply Luscious feel everyone should care deeply about their local communities - women and children in need. We make a donation for every bottle of Simply Luscious Cocktails sold to the Atlanta Women's Foundation. We encourage everyone to support their own local Women's Foundation because everyone deserves a Luscious Life!